Head Out To This Stall For Some Delicious Vegetarian Soups! 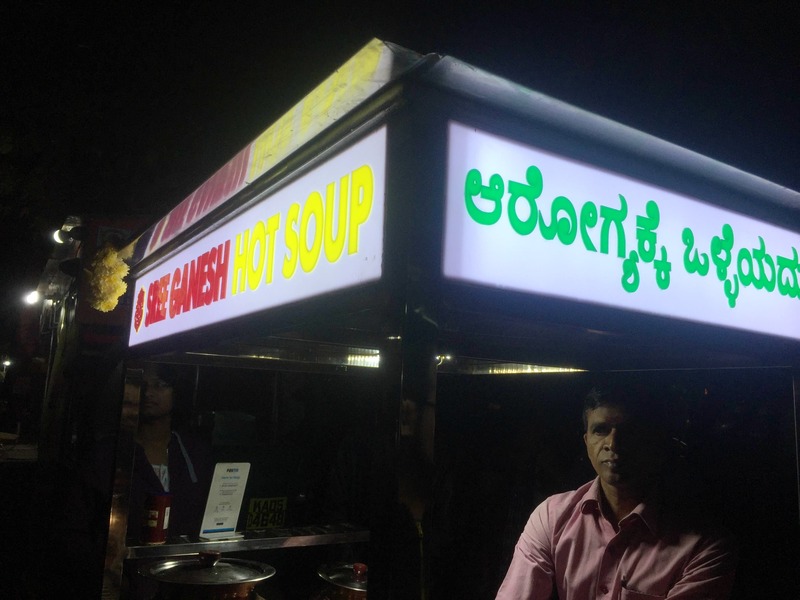 In this chilly weather if you're looking for hot soups then head to this stall called Sri Ganesh Hot Soup, near HSR BDA complex opposite to the House of Commons. This guy has some yummy vegetarian soups ranging from tomato, sweet corn, spring onion, mushroom and vegetable. I tried sweet corn and tomato both were really nice and perfect for this weather. He also topped the soup with some bread crumbs and corn flakes. A must try if you are in HSR and looking for some yummy soups. And the cost is just INR 50 each.